Ringing of the ears is a condition which is named as Tinnitus. It’s a problem of the ears in which a person suffering from this may experience a lot of discomfort and sounds of ringing bells. In this condition the part of the ear responsible for sending signals to the brain gets damaged and since the brain is not able to hear the sounds very efficiently, it starts to produce its own sounds which fall on the ears of the sufferer as ringing bells. Men more than women experience this condition in most of the cases.It arises primarily as one gets old but it can also be prevalent during pregnancy. 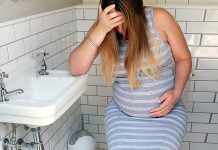 For pregnant women it comes as a big trouble because the frequency and the duration of the sounds can really be frustrating. This can also have a negative effect on the health of the new born baby and the nursing mother. The following is more information on Tinnitus. Pregnant women sometimes suffer from high blood pressure and this can be a cause of this condition called Tinnitus. High blood pressure can also be a reason for heightening the condition if it already exists. Pregnant women become extremely sensitive to the situations around them. They take a lot of stress in everyday life and this too can give way to tinnitus. Pregnant women also tend to become emotionally vulnerable which too can lead to ringing ears. Another reason why a pregnant woman may experience ringing in ears is due to depression. A lot of pregnant females experience two types of depressions which are known as prepartum depression and postpartum depression. It has also been found that anti-depressants medicines can also lead to the problem of tinnitus during the pregnancy period. 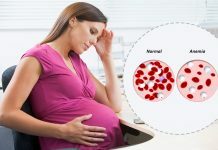 By taking proper care of their health, pregnant women can bring their increased blood pressure levels in control which in turn can also control the chances of getting tinnitus. Pregnant women are always advised to stay away from places which have loud noise or music. If it is very important to attend any event which is bound to have loud music then it is preferable to wear ear plugs and go. Loud music can also lead to ringing in the ears and is a big no-no for pregnant females. Another way in which this condition can be handles is by using white music machines. The music from these machines helps to mask the sound caused due to tinnitus. Listening to good music on radio and TV also helps. The severity of tinnitus vary from one person to another and if you suffer from this problem during your pregnancy then there is a list of things like sugar, salt, coffee, alcohol, smoking MSG food, diet drinks and others which should be avoided to reduce the sound caused due to this problem.